Chris and Dave talk about all manner of test instrument, both specialized and open source. Also interest in moving big heavy machines, friends starting Kickstarters and innovation continuing into mid-life and beyond! Specialized equipment is often a mystery except to people in the field it was intended for. Different geographic regions have different specialties. 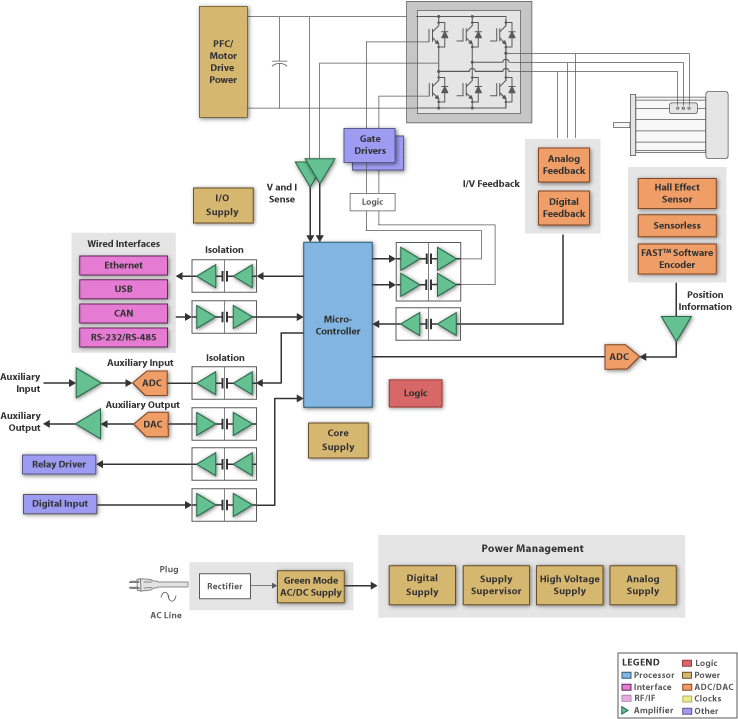 Chris has a new project using Variable Frequency Drives and AC Induction motors. They’re amazing! Even though it was discussed by Henry Ott when he was on the show and Bob Simpson when he was on the show, Chris didn’t realize these are what powers a lot of the electric vehicles on the road. Chris will be giving a talk about all the open source tools and platforms that power his every day life. Check out this reddit thread for a listing of the tools. 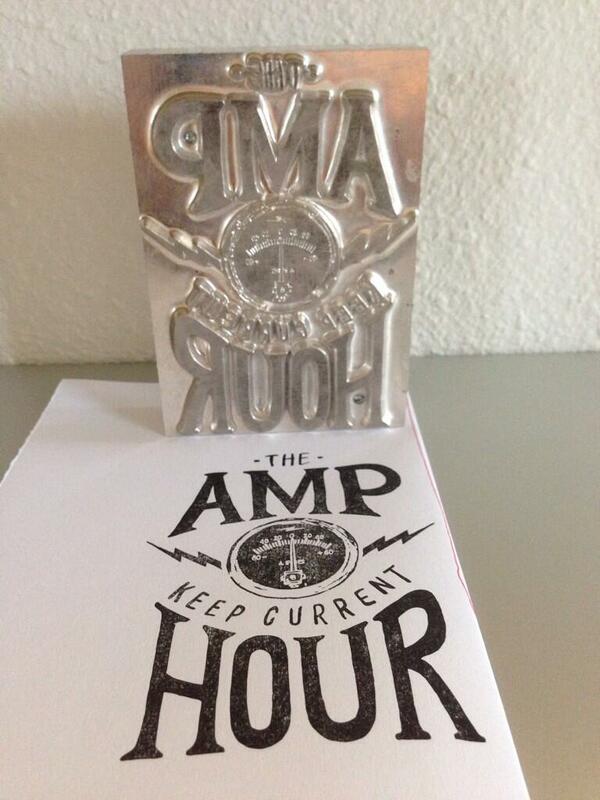 Ryan O’Hara will be doing a new project and will be using the stamp with The Amp Hour logo shown at the top of the episode. Jeri has launched her Kickstarter for the CastAR! It has already hit the funding goal and will continue to try and raise money. We’ll have Jeri on the show as she gets towards the DfM portion. Dev kits are important for getting a jump start on your design and providing proof to your boss that you can get something done. Google Glass and Segway aren’t useful in their intended ways…but have great niche utilizations. The new Adafruit Bluefruit board sends keyboard commands by pulling down a single pin. Very cool! Bluetooth 4.0 is useful because it allows you to abstract out iPhone hardware (and their closed ecosystem). People don’t do anything useful after 35? Tons of successful people respond on Quora. Is innovation still possible in regular electronics? Harrisburg! Connector Capital of PA. I know because I work at Penn State Harrisburg. Many of our EE graduates end up working at Phoenix Contact or TE Connectivity (formerly Tyco Electronics). We also have a Signal Integrity Center here at PSH where faculty and grad students experimentally investigate the integrity of RF signals through connectors and circuit board traces over various conditions. Thank you! That was eating away at me! I need to visit there sometime, I hear there are some cool facilities out there. Of course, TE Connectivity used to be AMP. I worked for a small company that ultimately became a division of AMP. Dave mentioned a GHz tablet oscilloscope on the show. Any links? Hey Chris, did you machine the stamp? Good luck with your VFD conversion. Nevermind, I should have listened to the episode first. Don’t you guys mean “Verboten”? A “Vorbote” is a “harbinger”.